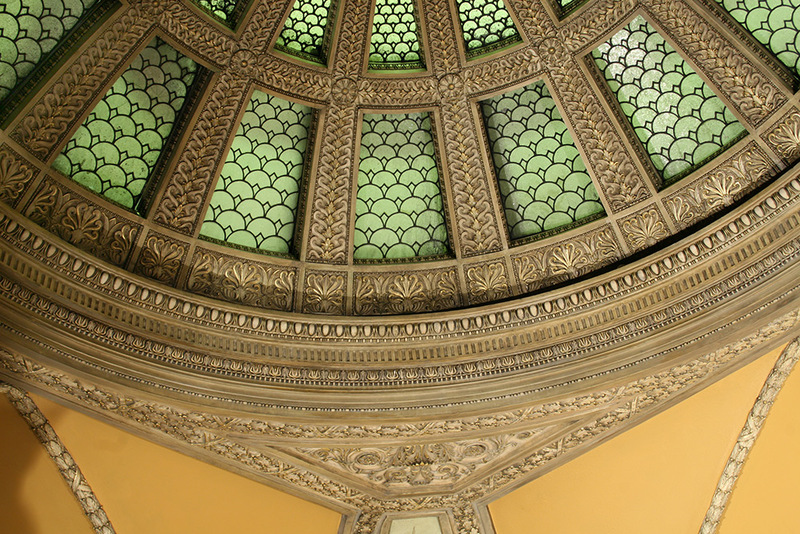 Chicago's Blackstone Memorial Library Gilt Plaster Conservation — Bernacki & Associates, Inc. 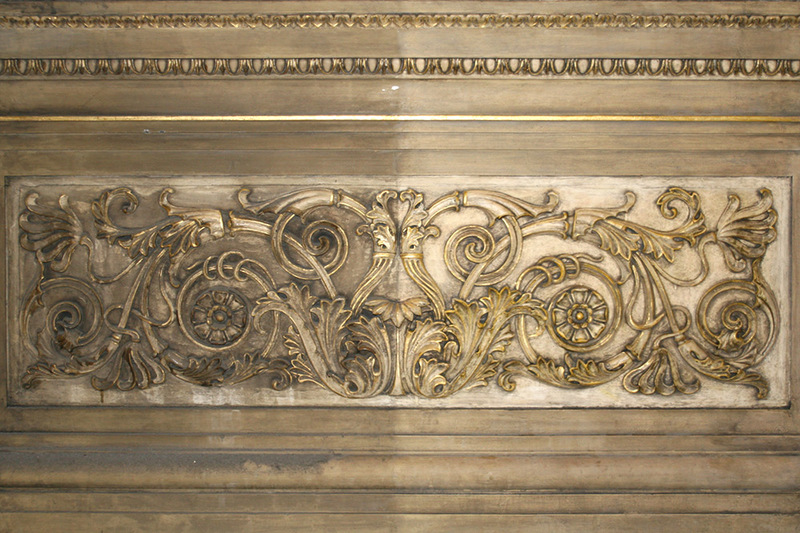 The ornamental plaster work surrounding the four magnificent murals by Oliver Dennett Grover is toned to give a very subtle rubbed patina. There are four different areas of original toning. There are medium dark green rectangles on the spandrel panels. There are two different examples of a greenish/beige toning on most of the flat banding that varies in darkness and thickness. All of the foliage and relief panels have been coated with a gray/beige layer that has been rubbed off all of the highlights. The gilt highlights were oil gilded using a bright yellow toned size applied to the sculptural highlights with a brush. The leaf appeared to be gold, not composition leaf, due to the fact of no examples of copper alloy oxidation and no appearance of a protective coating. The gilt has the warmth and brightness of reflection consistent with 23Kt gold. The plaster work was extremely dirty with loose dust and debris, and accumulated grime. There was an area of missing plaster due to water leak. All necessary cleaning was performed; the missing plaster area was filled in and painted to match the original coating. Gold leaf was applied in damaged areas.